Choosing the ideal place for your ductless mini-split system can be a challenge, so in this blog, we are going to share a few ideal placement tips for your system. When considering where to place your indoor ductless split unit, you want to choose a room where the air can be distributed equally throughout the room. Also, you’ll want to ensure that a wall-mounted indoor unit is placed at least eight to 10 feet above the floor to avoid sending cool air to the ceiling. Typically, these units are installed in living rooms are areas where the most time is spent. If you are interested in having the unit placed in your bedroom, it should be placed directly about the bed for the most comfort. If you care about the aesthetics of the room, any ductless AC unit installed above a window should be placed symmetrically with said window. Keep in mind, wall-mounted split air conditioning units must be installed in a way that allows for easy access to the air filter for maintenance and cleaning. What About The Outdoor Component? The location of the outdoor component should be easily accessible by technicians for quick servicing. The surface the unit is placed on should be resistant to vibration, as vibration can cause pipes and other components to break or fail over time. Ensure the outdoor unit remains at a height slightly above the indoor unit. This prevents the compressor from battling gravity as it circulates the refrigerant. 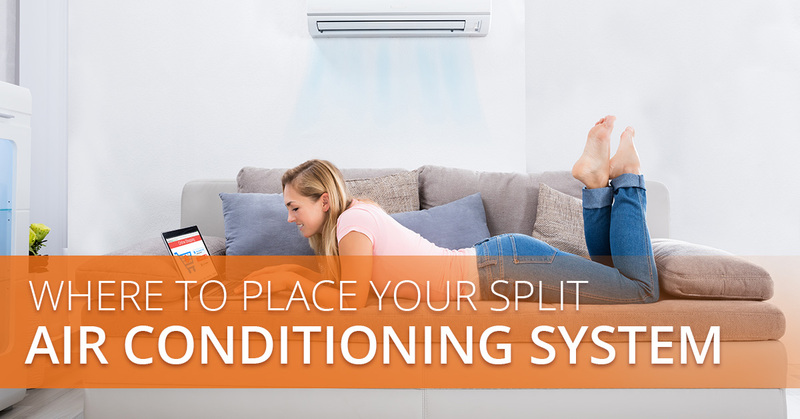 When split air conditioning systems are properly placed, the cooling power is maximized to give you the best efficiency and effectiveness to help keep your home cool and comfortable. Get Split Air Conditioner Systems From Fiberpol! 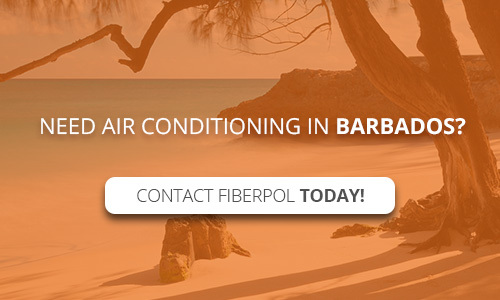 If you are looking for split air or inverter air conditioning systems in Barbados, Fiberpol has the air conditioner technology that you are seeking. Our Streamline Air Conditioners are sleek, quiet, and — most importantly — efficient. To learn more about air conditioners with inverter technology or to schedule a free consultation, contact the team at Fiberpol today!